The installation was separated into three sections and serves as a visual narrative, telling the story of Scottish heritage with no words. Local sign company Acorn Signs installed the printed Dibond aluminum composite panels, which were chosen for their weatherability and durability properties, as this is an outdoor installation. The panels came in about 5 by 10 feet sheets, and were manually installed with precision on site to ensure they aligned perfectly to create the effect of a single-paneled installation. 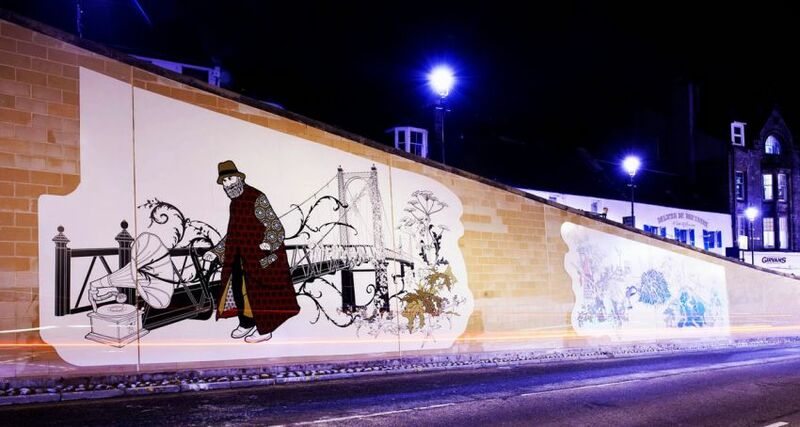 The work was commissioned by Inverness Old Town Art and funded by The Highland Council. 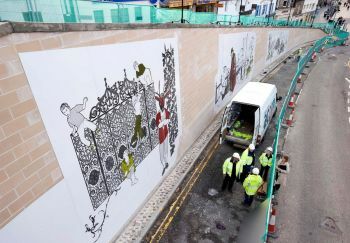 The concept behind the Cathedral installation in incredibly interesting and we encourage readers to visit Michael Inglis’ site to read more about it.